‘Sandblasting’ or ‘shot blasting’ are common terms used for what is really ‘Media Blasting’- the blasting media can be anything from soda (used to clean stainless steel hobs and ovens and occasionally boats to the heaviest of copper slag with particle size upto 5mm! (not for use on fibreglass !). With the sensible and experienced selection of the correct media most surfaces can be blasted to remove coatings without damage to the substrate. With a range of abrasive media in stock its not difficult for Symblast to select the correct media and then to use it properly to remove existing coatings. We have successfully blasted buildings in prep for rendering or painting or even to expose the beauty of the brickwork itself, in these cases we find that our ‘dustless’ system of using a fine water mist to reduce or even eliminate dust is best. 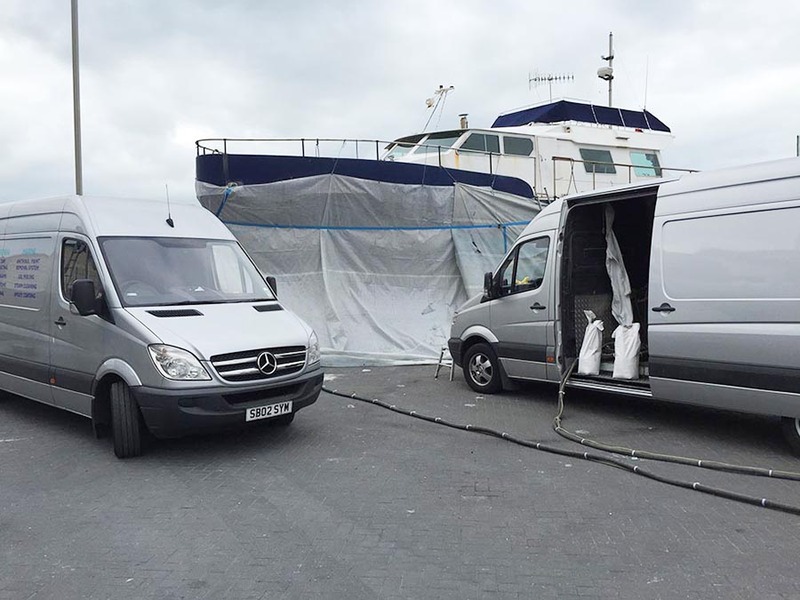 This 60ft steel vessel at Brighton Marina required grit blasting and epoxy coating as its old coatings were old and failing, we arrived at 8am and by 9am were ready to commence grit blasting to remove the old built up paint and rust back to clean metal. 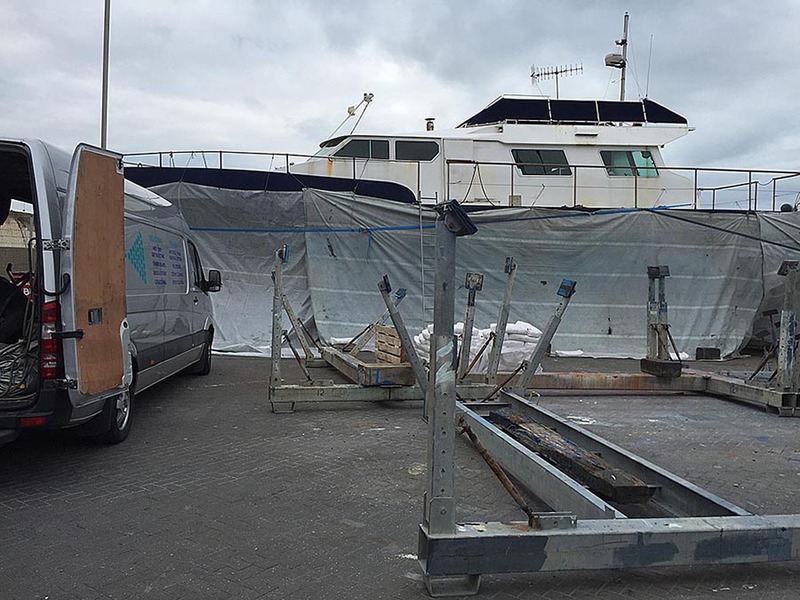 The grit blasting was in preparation for using our new airless spraying unit to apply a low solvent epoxy, by 1pm the blasting was completed and the ground swept ready to apply the paint (we used 2 blasting units as speed was of the essence). 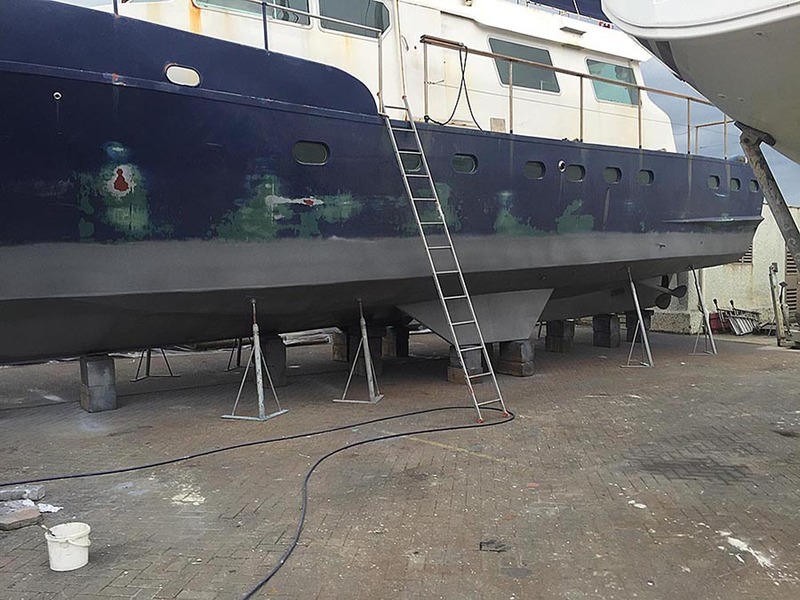 Airless spraying is carried out at very high pressure and the epoxy is pumped at close to 5000psi, this atomises at the gun and achieves a large fan (about 2ft wide) of paint, application is therefore very quick and the thickness of 200 microns easily achieved. we managed to apply 75 litres of Hempadur epoxy in 4 hours in 2 coats-an incredible achievement. 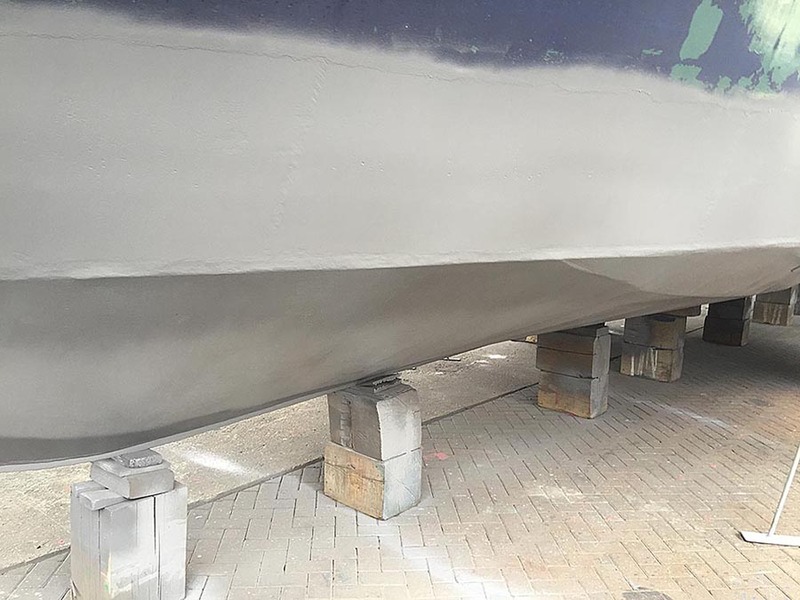 Boat hull grit blasted. A good job done, very helpful. Sand blasting. Excellent, very conscientious and tidy, a thoroughly professional service. 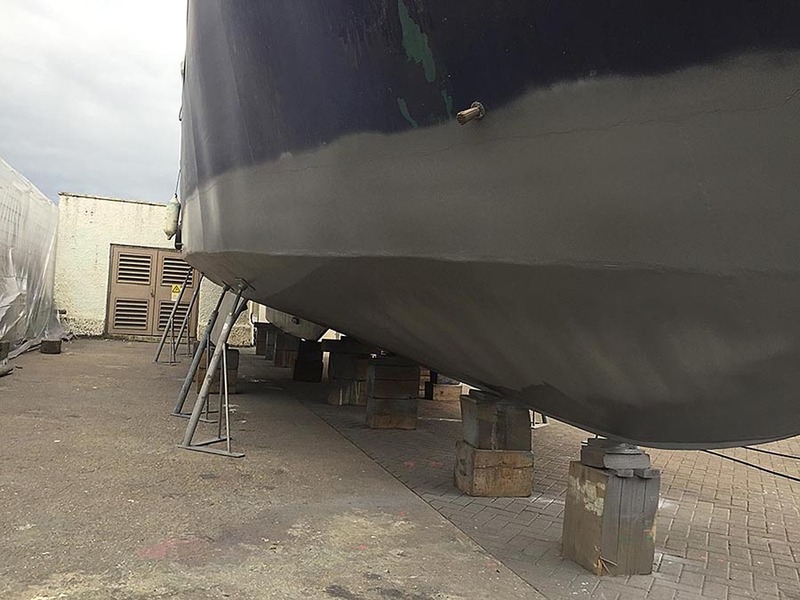 Sand blast, steel boat peel and blast. Prompt good service. Fair and reasonable to deal with. Would use again. Sand blasting boat and materials supply. Sand blasting was done very thoroughly. Followed support relating to supplied epoxy and copper coat was excellent.